Our mini Pallet House…the making of! 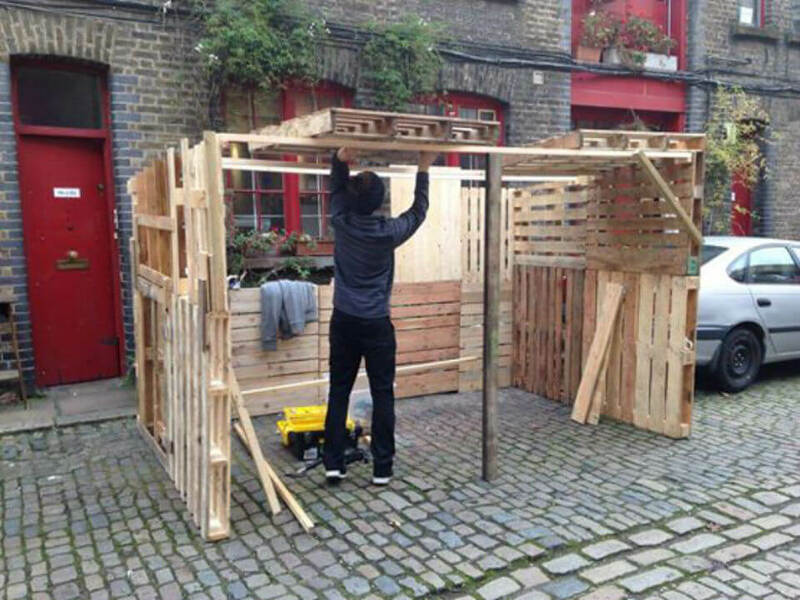 Home > Event Work > Our mini Pallet House…the making of! 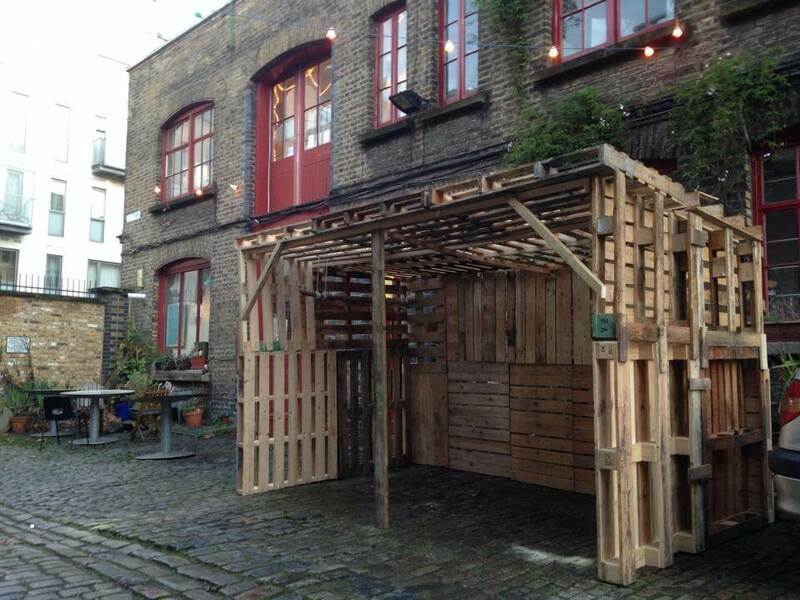 In December last year we were asked to build a market stall/mini pallet house to display the amazing work Curious Fair & friends for the Pullens Yard Open Studios. Despite the slight chill and odd bit of rain the hut (and the market) was a great success. Curious Fair and co. were able to present their products clearly, it brought them out of their studio space and into the open and closer to the customers! We used a tarpaulin over the roof to protect them from the rain and we doubled layered the back wall for extra protection from the wind. 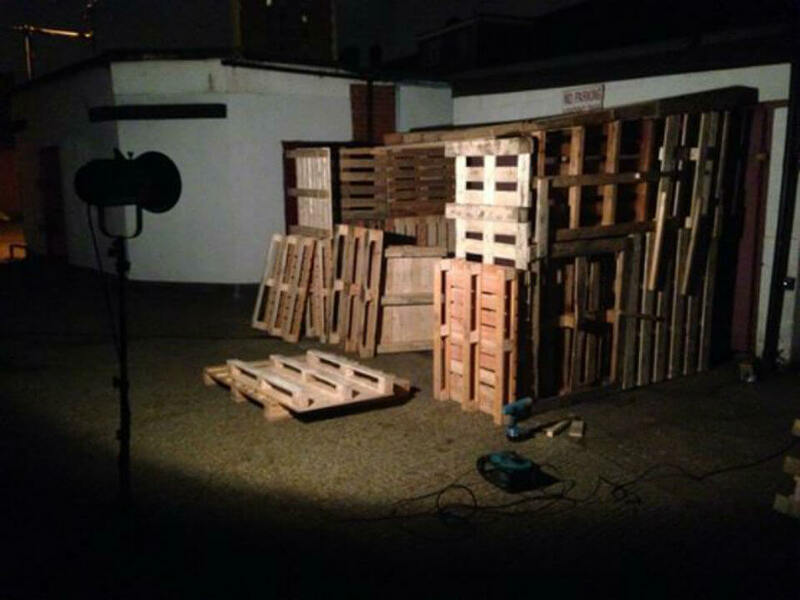 Working with pallets in this way is extremely versatile and effective. The hut was a simple structure that we were able to put up in under 4 hours and take down in under an hour. It is also a very cost effective way of creating a inhbital, freidnly and fun space for a market stall or other events. Late night house erecting at our workshop. This was cold, but fun! The Victorian Pullens Yard had never seen a pallet house erected on it’s cobbled streets before! 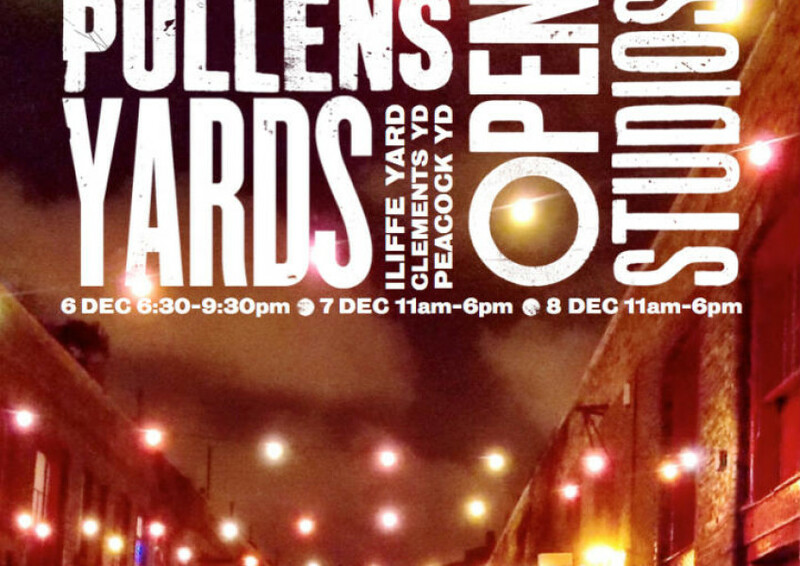 The Christmas market at Iliffe Yard is part of the Open Studios event that takes place every year before Christmas at Pullens Yard. It involves over 70 artists, makers and architects from Iliffe Yard and neighbouring studios at Peacock Yard and Clemence Yard. 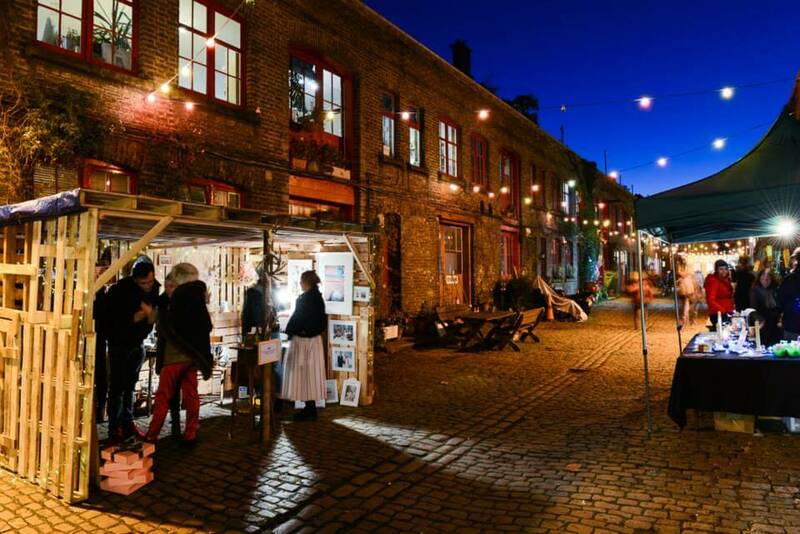 It is is a fantastic event set in some of London’s most beautiful Victorian working yards. Please find more images of the finished thing here…Christmas Market Stall.